LAS VEGAS, NV--(Marketwire - January 6, 2011) - Ameristar Casinos, Inc. (NASDAQ: ASCA) today announced that Sheleen Quish has been promoted to Senior Vice President of Information Technology and Human Resources. In addition to continuing to lead the company's information technology functions at the Las Vegas corporate office and at its eight operating properties, she will also lead the corporate Human Resources Department. "Sheleen is a change driver," said Larry Hodges, Ameristar's President and Chief Operating Officer. "Sheleen sets aggressive goals and produces measurable results. Her ability to align people, processes and technology to achieve outstanding outcomes and business objectives made her the obvious choice when filling the need for a dynamic Human Resources leader. This dual role will allow her to shape integrated, result-oriented and profit-focused teams in every department." Quish joined Ameristar January 2007 as Interim Chief Information Officer (CIO) and was promoted to CIO in May of that year. Quish has a distinguished career of more than 18 years experience in Information Technology in multiple industries. Her background is unique in the CIO world, with 20 years of marketing, operations and communications experience in health care, manufacturing and insurance. Prior to joining Ameristar, Quish was CIO-At-Large with her firm Box 9 Consulting, working with a number of companies. Quish has held several executive roles including Vice President and Global CIO for US Can Company; Senior Vice President, Insurance Operations and Information Technology with Unitrin, Inc.'s Life & Health Division; EVP Corporate Planning and Information Services with The Signature Group; Senior Vice President and Chief Information Officer with Health Care Service Corporation (Blue Cross Blue Shield of Illinois) and Executive Vice President at Southeastern Mutual Insurance Company. Quish holds a Bachelor of Arts degree from the College of New Rochelle (New York). She is an Emeritus member of the editorial board of CIO Magazine, and has been a prolific writer and speaker in a variety of industry forums. She has also been a Fellow of the Cutter Business Technology Council, and Senior Consultant with Cutter's Sourcing & Vendor Relationships and Business-IT Strategies practices. 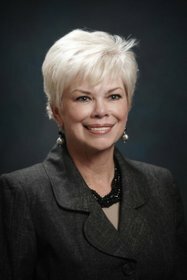 Sheleen has actively contributed to the Las Vegas business community since relocating here through Association of Information Technology Professionals (AITP), Women in Technology (WIT), Gaming & Leisure magazine and is on the Executive Advisory Board of the Nevada IT Symposium. Ameristar Casinos, Inc. is a leading Las Vegas-based gaming and entertainment company known for its premier properties characterized by state-of-the-art casino floors and superior dining, lodging and entertainment offerings. Ameristar's focus on the highest quality gaming experience and exceptional guest service has earned it leading positions in the markets in which it operates. Founded in 1954 in Jackpot, Nev., Ameristar has been a public company since November 1993. The Company has a portfolio of eight casinos in seven markets: Ameristar Casino Resort Spa St. Charles (greater St. Louis); Ameristar Casino Hotel East Chicago (Chicagoland area); Ameristar Casino Hotel Kansas City; Ameristar Casino Hotel Council Bluffs (Omaha, Neb., and southwestern Iowa); Ameristar Casino Hotel Vicksburg (Jackson, Miss., and Monroe, La. ); Ameristar Casino Resort Spa Black Hawk (Denver metropolitan area); and Cactus Petes Resort Casino and The Horseshu Hotel and Casino in Jackpot, Nev. (Idaho and the Pacific Northwest). Visit Ameristar Casinos' website at www.ameristar.com (which shall not be deemed to be incorporated in or a part of this news release). About this company Ameristar Casinos, Inc.